Rob Howley has been named as Wales' caretaker head coach for the summer international against the Barbarians and the Tests in Australia to cover for Warren Gatland, as he recovers from injuries he sustained while at home in New Zealand recently. 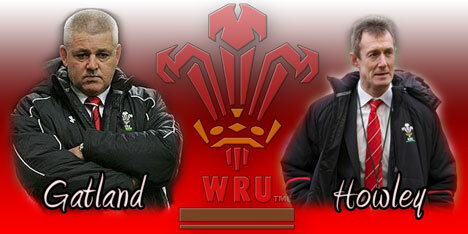 Howley to take over the reins on a temporary basis. Gatland, who according to punters betting on sport is the running to be the next British & Irish Lions coach, is expected to be back on his feet properly at some point over the next few months and should be back working full-time by the autumn. He has given his approval to the appointment of Howley while he recovers. A Welsh Rugby Union statement read: "Rob Howley will have full control of all aspects of team preparation and selection as he takes charge of the existing management and coaching staff with immediate effect." "Gatland has declared his full approval of the decision which was taken during discussions with WRU group chief executive Roger Lewis about his prognosis for recuperation and recovery over the weeks ahead." Wales face the Barbarians on June 2 in Cardiff before a three-Test series in Australia, with the first clash against the Wallabies scheduled for Brisbane on June 9. They will hope to improve on some impressive live scores results that saw them reach the World Cup semi-final and win the Six Nations. Gatland himself admitted to being disappointed at his temporary absence, saying: "Although I am devastated to be away from the action I am delighted that we have someone of Rob's calibre to take charge in my absence"
"I will not be ready to take charge of Wales for the international against the Barbarians and if I recover enough to get to Australia during June I am still unlikely to be mobile enough to play a full coaching role. "It has been difficult to accept that advice, but it just makes me more determined than ever to get back into the driving seat with Wales later on this summer as we prepare for an Autumn series which includes games against New Zealand and Australia"